Mo Magic is the performing name of South African magician, Mahommed Moorad. As a child, he saw his brother perform magic and in high school he learnt and performed a few basic effects. 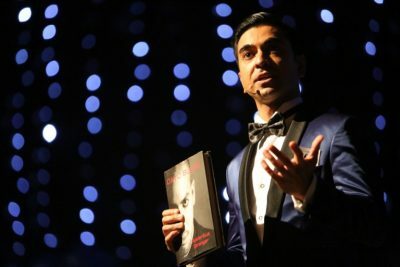 Years later, whilst at University, during a period of self reflection and questioning his path and purpose in life, Mahommed began his journey to discover his UNIQUE purpose. Inspired by “The Blissful Living Teachings”, he spoke to the Universe and asked the divine for guidance towards his path. Soon after, whilst sitting with his best friend, working on their electronic design project, they saw David Blaine on television and Mahommed was astonished. Mo Magic speaks about changing careers and finding his passion for the art of magic on the ever popular talk show “Real Talk with Anele” on SABC3. “It was as something inside me had shifted. I knew then and there that I wanted to perform the art of magic”, says the magician. His inquiring mind led him to delve into the art of magic. This fascination soon grew into a hobby, then evolved into a passion. At university he soon astonished campus students and staff alike and found himself performing at private events. It was soon after that the name Mo Magic arose and was a hit. Mo Magic began a lucrative career in the automotive industry, whilst at the same time being sought after, by word of mouth, to perform at private and corporate events in Durban, Johannesburg and Cape Town. One evening in March 2005, whilst enjoying a cup of coffee with a friend at Mugg and Bean Musgrave (Durban, South Africa), Mo performed a piece of magic for the waiter who then asked Mo to perform it for the manager. Days later, Mo received a phone call from the manager asking to hire him to perform at the venue on Saturdays. This was the beginning over a wonderful two year period at Mugg and Bean, entertaining patrons from across the country with his unique personality and style of magic. 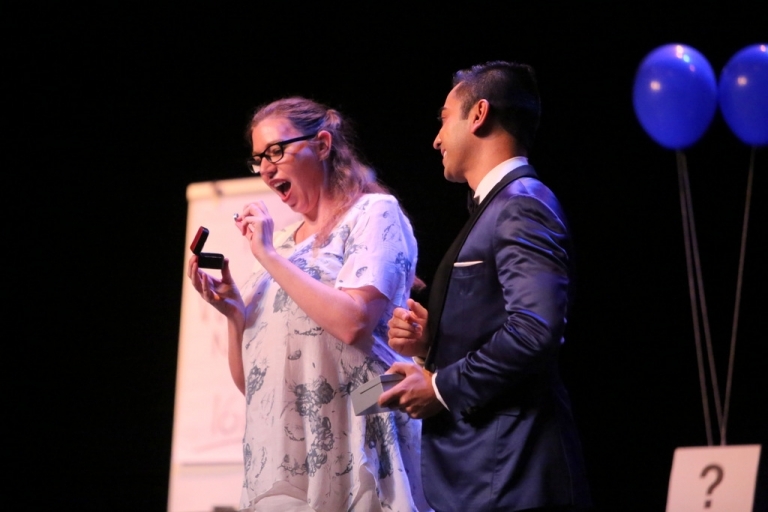 This was also a first for the Mugg and Bean Franchise, and Mo Magic was the only magician in the country performing for Mugg and Bean on a regular basis. As time went bye, the name “Mo Magic” and his unique performance style, continued to grow by word of mouth. He first stepped onto the international scene in 2006 when he toured the United Kingdom performing at private events and lecturing to magicians, before visiting Sweden for the World Championships of Magic. In 2010, Mo Magic resigned from his lucrative engineering career to pursue his passion for magic. Mo has shared his magic with audiences across South Africa, on national TV, radio and is featured regularly in the media. 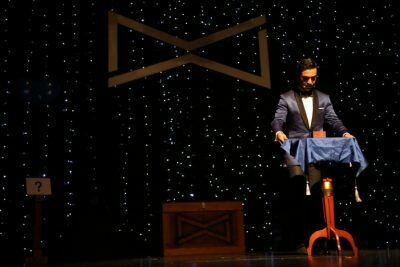 He has performed his unique brand of magic in Angola, Namibia, Zambia, India, Belgium, Turkey, United Arab Emirates, Sweden and further performances in the United Kingdom, aside from the major South African cities of Durban, Johannesburg and Cape Town. He has steadily established himself as one of South Africa’s premiere magicians, servicing mainly the corporate market. Mo Magic has, over the years, had the privilege of studying with, and meeting some of the greatest magicians of our time. When asked about his remarkable and exponential success, Mo remarks that he is merely “standing on the shoulders of giants”, and that he is thankful to have the guidance of his extraordinary mentors locally and internationally. 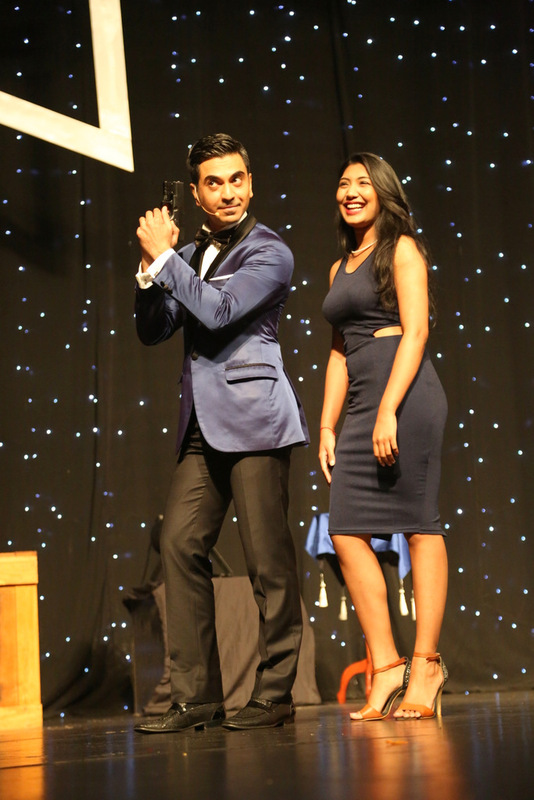 Mo’s peers have given him the nickname of “The James Bond of Magic” due to his unique personality, charm and style of magic. 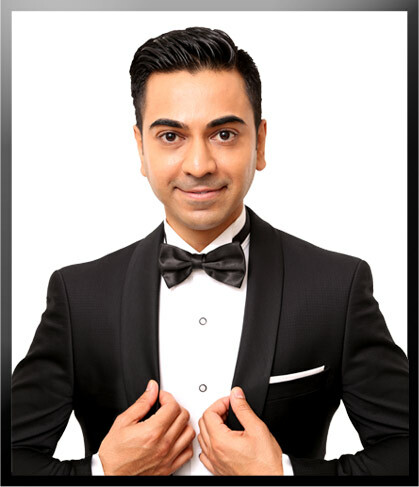 In 2010, he was named “Top of the Charts” in South Africa by international publication Gulf News and was the only magician to be featured on this select list of entertainers. Currently the most media featured magician in South Africa, he performs regularly on TV, radio and in the media. 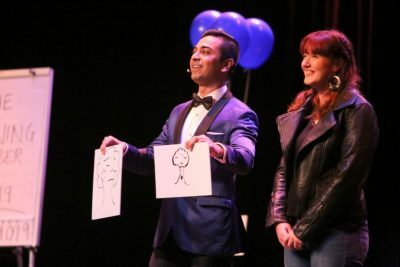 He is truly thankful for the gift of connecting with audiences, sharing unique and extraordinary experiences with them through the art of magic. 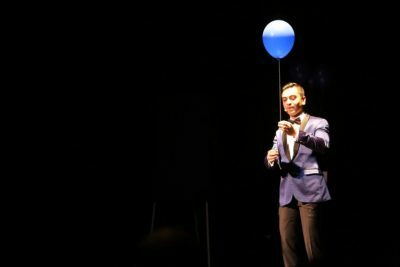 In 2012, Mo Magic debuted his theatre show titled “Amazing You!”. In this show, he amazes you the audience with his world class magic and reveals the amazing you that is capable of living your dreams. He shares life transforming insights that have allowed him to live his dreams and now uses magic to astonish, entertain and inspire audiences. 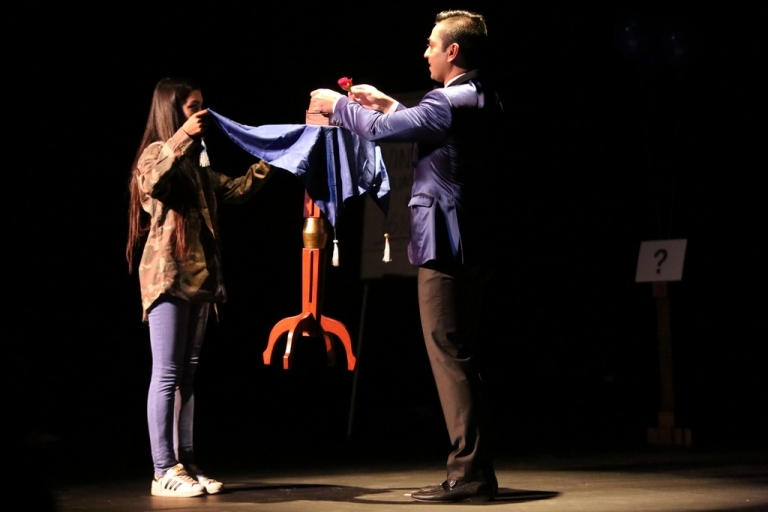 In 2015, Mo Magic fulfilled another dream – to share the experience of magic with South African audiences on a weekly TV show. His idea for a TV show, titled “Magic with Mo” was commissioned by the South African Broadcasting Corporation (SABC) and season 1 of his prime time series ran from Oct 2015 to January 2016. For a first of its kind on South African TV, and untested, the show rose to being the second most watched South African show on SABC3, behind daily soapie/drama Isidingo. The only international shows with higher viewerships were the Bold & the Beautiful and Days of our Lives. 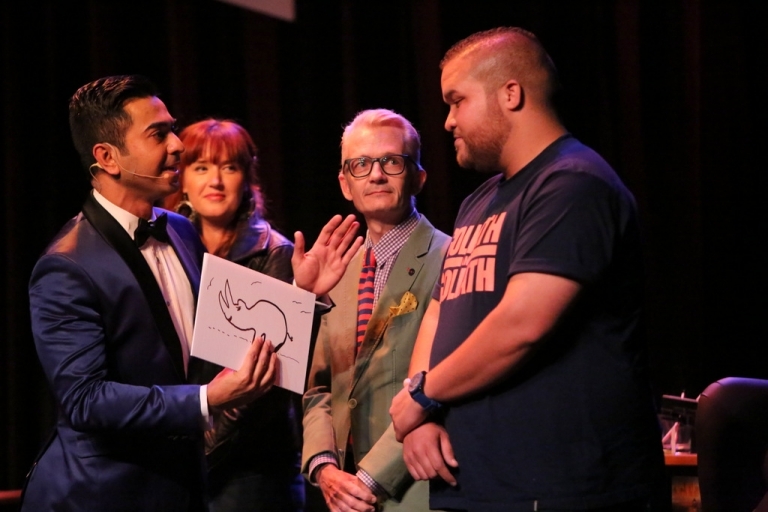 Popular television blog TVSA covered this success as its cover story for one of the weeks saying “Magic with Mo has pulled out an Ace for SABC3 with a whopping increase in viewership since its premiere” and congratulated Mo on this phenomenal success. Mo is only the third magician in a 50 year history to have a TV magic series and only the 2nd to have it commissioned in totality by the SABC. 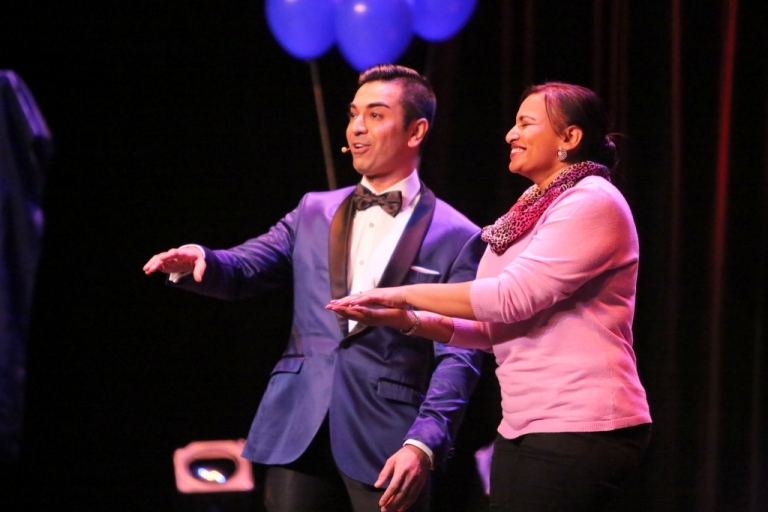 Following the success of the TV show, Mo Magic toured South Africa in 2016, taking magic to people in their cities and homes, attempting another first for South Africa – taking his theatre show to audiences across the country, to experience LIVE. 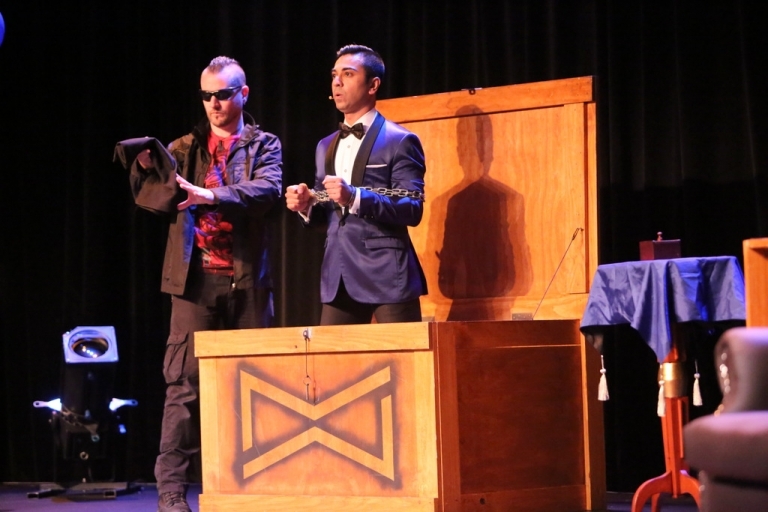 His theatre show combines amazing magic, mentalism and clean comedy into a 90 minute production that concludes with a Vegas style illusion. Here’s a quick video ahead of Mo’s opening night of the tour. 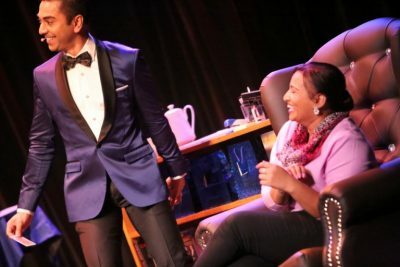 As at the end of 2016, the theatre tour featured 19 performances across the country with multiple sold out performances. Mo Magic is thankful for the opportunity to share joy and delight with audiences through the performance of the art of magic and has lots more planned for 2017. Feel free to connect with him on social media for all the latest updates. has been a phenomenal year for Mo Magic. 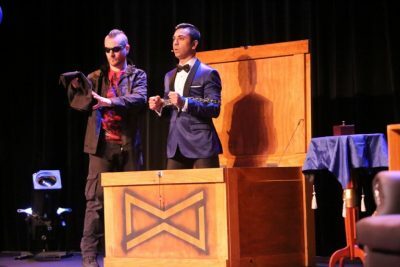 It began with a trip to the USA in January 2017, where he visited his heroes of magic, based in Last Vegas, then visited the world famous Magic Castle in Hollywood. Whilst in the Las Vegas and Hollywood, Mo Magic performed and recorded magic to share with his fans globally. These may be found on his social media platforms. Mo returned to South Africa and found that he had been featured on the cover of the World’s largest magazine in February 2017. Mo was humbled by this honor and privilege and is the first South African magician to be featured as the cover story. In March 2017, Mo began his third one man theatre show titled “Moments of Wonder” that he performed in Kwazulu Natal to sold out houses. From April, he has been focussing on adding value to his corporate clients with various national roadshows, exhibitions, digital campaigns and so much more. The magician is thrilled to be of service to his clients and is thankful to be living the life of his dreams. Catch up with the latest Mo Magic news by following him on the various social media networks.